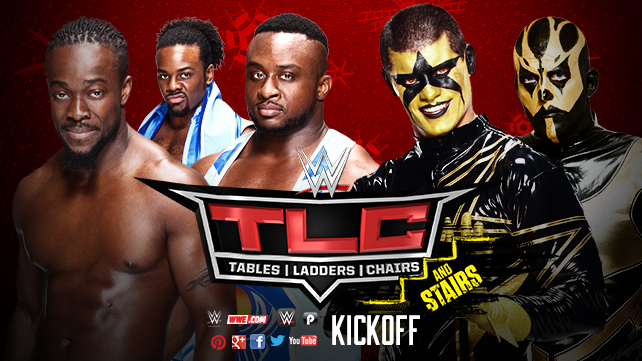 It’s another TLC, the second best WWE PPV of December! And you know what that means – time for all the super-smart wrestling fans to declare how much better NXT is than its parent product. WITH WEAPONS!!! Best Case Scenario: They perform the rare and majestic double turn, as The Dust(y) Brothers finally explain that the cosmic keys open the doors to their hearts and The New Day, I don’t know, beat up a ref and start screaming about gentrification intergalactic civil war. Worst Case Scenario: Big E. drops out of The New Day to join Kaitlyn at her clothing company, leaving only Xavier and Kofi to fend for themselves against the cold darkness of the mid-card. What Nick Wants to Happen: A match that shows a clearly defined persona for The New Day, likely something along the lines of the Kofi and Big E. catapult show, while The Dust(y) brothers get a chance to actually work at full speed the way they did as The Brotherhood. Also, JBL and The King keep the casual racism to a low hum. What Will Happen: Casual racism and the cold darkness of the midcard.